Don introduces some of this month’s articles and reports on the passing of an old friend of PW. 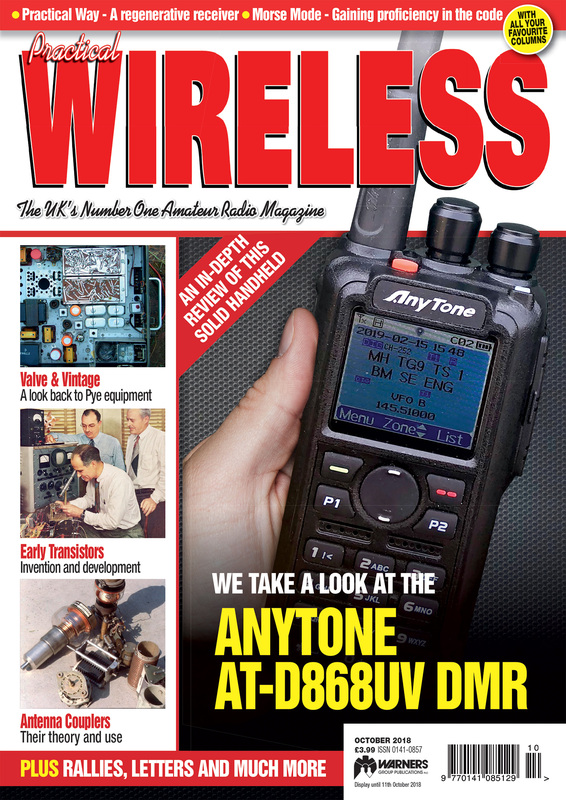 Tim Kirby G4VXE looks at a dual-band DMR that has some novel features. Antenna Couplers/Aerial couplers/ATUs/Transmatches, call them what you will. Peter Chadwick G3RZP explains all. 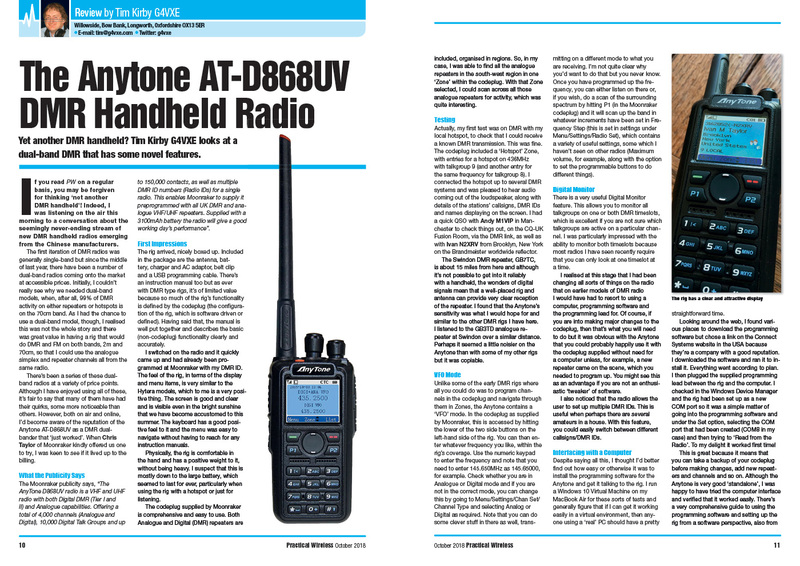 To complement our recent feature on ARDF, Clive Mott-Gotobed G4ODM describes a simple way to use your existing handheld for 2m direction finding. 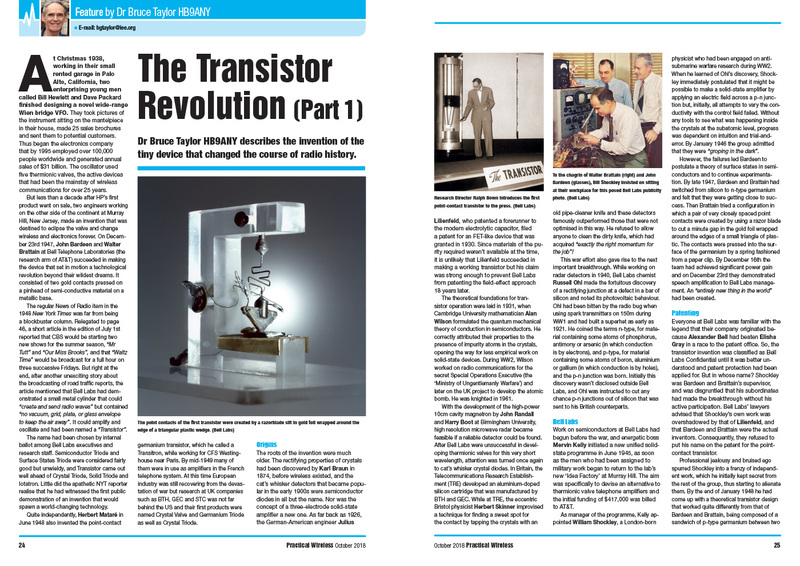 Dr Bruce Taylor HB9ANY describes the invention of the tiny device that changed the course of radio history. Tim Kirby G4VXE has news of some impressive DX worked on the 2m band. With the approach of the autumn DX season, Steve Telenius-Lowe PJ4DX has news of some planned DXpeditions. 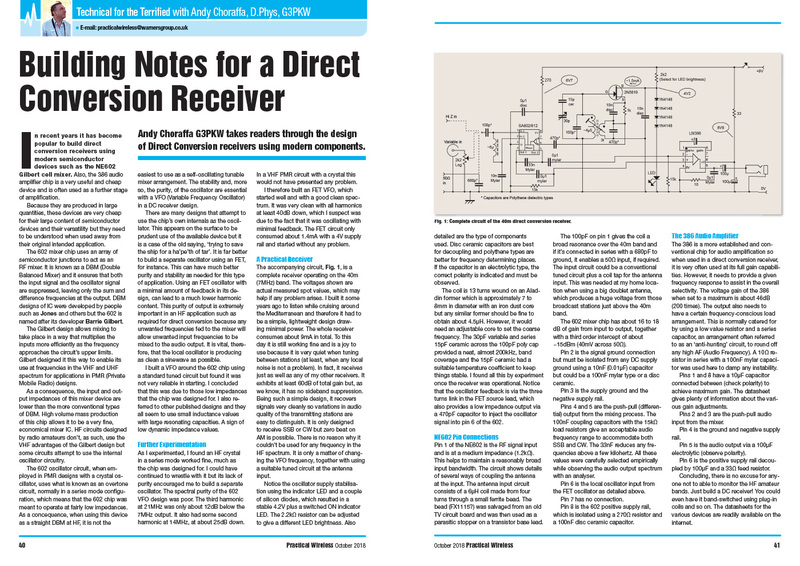 Andy Choraffa G3PKW takes readers through the design of Direct Conversion receivers using modern components. Geoff Theasby G8BMI has a PCB oscilloscope for around £10 and a variable voltage module for just £3. 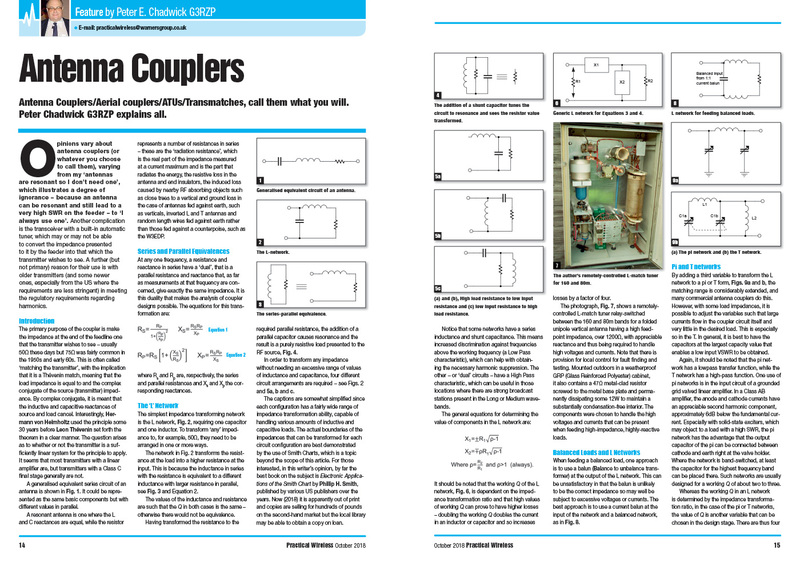 David Jardine G0FDV challenges readers to build a one JFET regenerative radio in an afternoon. Bernard Nock G4BXD takes a canter through a selection of classic sets from Pye of Cambridge. Harry Leeming G3LLL addresses another selection of strange faults and even stranger customers! Colin Redwood G6MXL looks at various sources of information to radio amateurs chasing DX, focusing on the DX Cluster. Roger Cooke G3LDI returns to a previous topic but has a flurry of new correspondence too. Mike Richards G4WNC is taking a look at the LimeSDR Mini and 3D printing and showing how you can get away from the noise with an Airspy HF+. Lee Aldridge G4EJB gets as far as persuading his Howes transceiver to work again. Joe Chester MW1MWD is another who has returned to the hobby of late. His tale nicely complements our Starting Over feature. A reader asserts that this is a great time to come back into the hobby and there is feedback on several recent features.